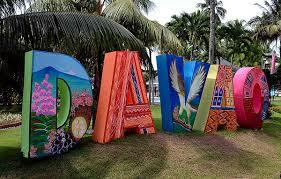 Davao City – The Department of Tourism in Davao region (DOT-11) is now working for Halal accreditation of restaurants and hotels in its area of jurisdiction. DOT-11 regional director Roberto Alabado III told reporters during the regular press conference at Habi at Kape in Abreeza Mall here Wednesday that 13 establishments had already undergone the necessary Halal orientation. Alabado said the move was aimed at catering to Muslim tourists who would want to travel to the country, particularly in Mindanao where there is a sizable Muslim population. The move to accredit hotels and restaurants as Halal-certified will be a nationwide project of the tourism department, he added. “The tourism department is targeting 50 hotels and restaurants all over the country to become Halal certified establishments. Of the 50 targets, 20 will be in Manila, 10 in Boracay, 10 in Cebu and 10 in Davao,” Alabado pointed out. The tourism potential of people living in Muslim countries is big and “we have yet to tap that group here in the Philippines,” he added. Last Tuesday, the Singapore-based Crescent Rating Pte. Ltd. visited Davao City and facilitated the orientation of hotel and restaurant representatives on Halal accreditation. The company said the global market value for Halal industry is expected to double from $3.2 trillion to $6.4 trillion by the year 2018. Crescent Rating also urged the local tourism stakeholders in Davao to seize the opportunities being offered by the growing Halal industry.